Today, the Urbana Country Club continues to fill a key recreational role in Champaign County after nearly 100 years of legacy. This is the view looking east toward the clubhouse from the 18th tee. The drive to the main entrance of the Urbana Country Club is pictured in this current photo. Tim Martin (left) putts on the 18th green as his father Dave Martin looks on during a recent afternoon of play. 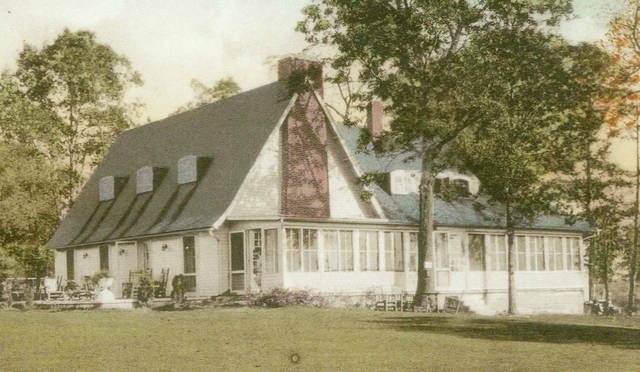 The Urbana Country Club clubhouse, circa 1930. 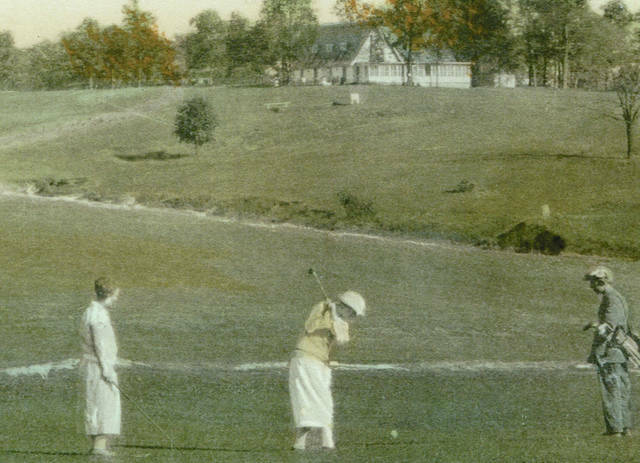 Ladies are pictured playing golf in the earlier era of the Urbana Country Club. Women were invited to membership and to play golf on an equal basis with men from the club’s inception. 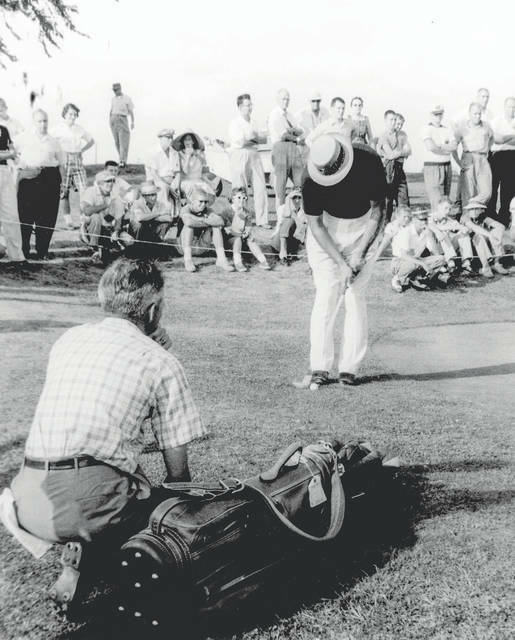 Sam Snead is pictured at an Exhibition Match in 1957, where he played against Bob Ross of Springfield, Pete Dye and a young Jack Nicklaus. 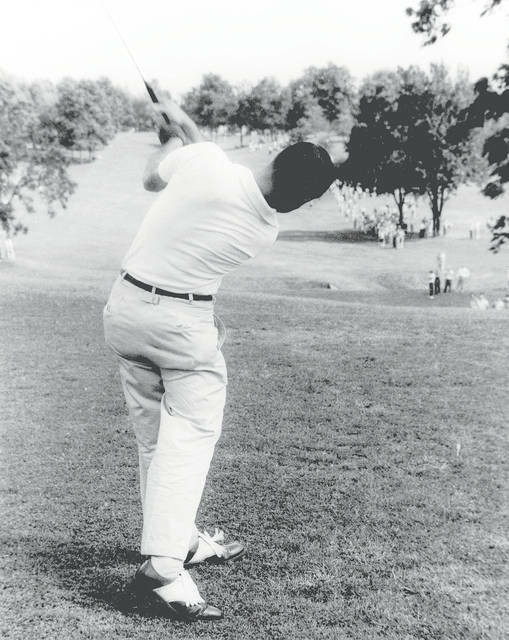 Pete Dye tees off in the 1957 Exhibition. Here is an early view of the budding Urbana Country Club. Champaign County has added a sparkling green jewel to its crown of history. On June 8, 2018, the National Park Service of the United States Department of the Interior added the Urbana Country Club to the National Register of Historic Places. Through the years, 33 private and public sites in Champaign County have been added to the National Register. The Urbana Country Club was, and still is, located in a rural, agricultural setting east of Urbana on U.S. Route 36. According to historical information provided by the club, the Urbana Country Club’s bucolic setting has not changed in the nearly 100 years since the club was established, and the views described in 1922 are the same today. Both the location and setting greatly contribute to the property’s historic integrity. The design of the nine-hole course, completed in 1923, is intact. Designed by Paul F. Dye, father of world-renowned golf course architect, Pete Dye, the UCC course remains an example of an early 20th-century golf course. Though periodic improvements have been made, the historic golf course has not been reconfigured. The Urbana Country Club was nominated for the National Register for association with local entertainment and recreation. It falls into the historic context of early 20th-century country club and golf course development. Both were increasingly popular endeavors nationwide during the era, and the Urbana Country Club easily conveys this history, according to a statement drafted by the club. 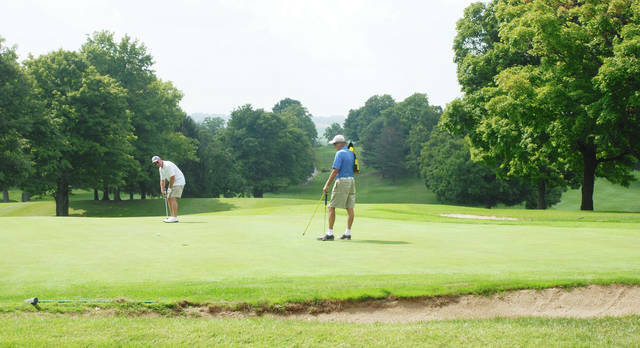 It reflects the community’s interest in golf as a recreational sport and the idea that the presence of a country club reflected a city’s status. A resurgence of interest in golf occurred in the post-World War II era, and the Urbana Country Club responded with a number of improvements to the clubhouse and the golf course in the 1950s. The Urbana Country Club will join with the Champaign County Historical Society to celebrate an event called “Ohio Open Doors” on Saturday, Sept. 15. More detailed information about “Ohio Open Doors” will be published in an upcoming edition of the Urbana Daily Citizen. 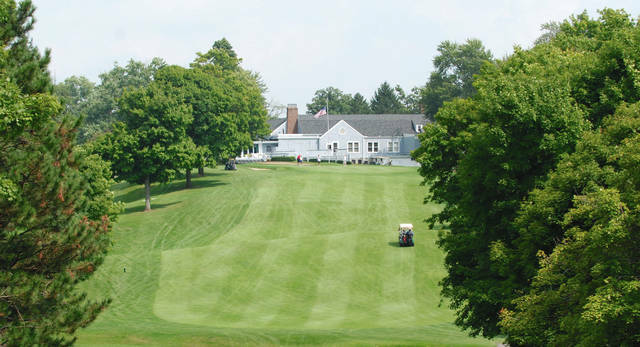 The public is invited to tour the historic Urbana Country Club during “Ohio Open Doors” and all visitors are welcome to enjoy lunch or dinner at the UCC on that date. For dining reservations, call 937-303-0915. Historical background for this story provided by the Urbana Country Club. Brenda Burns can be reached at bburns@aimmediamidwest.com.